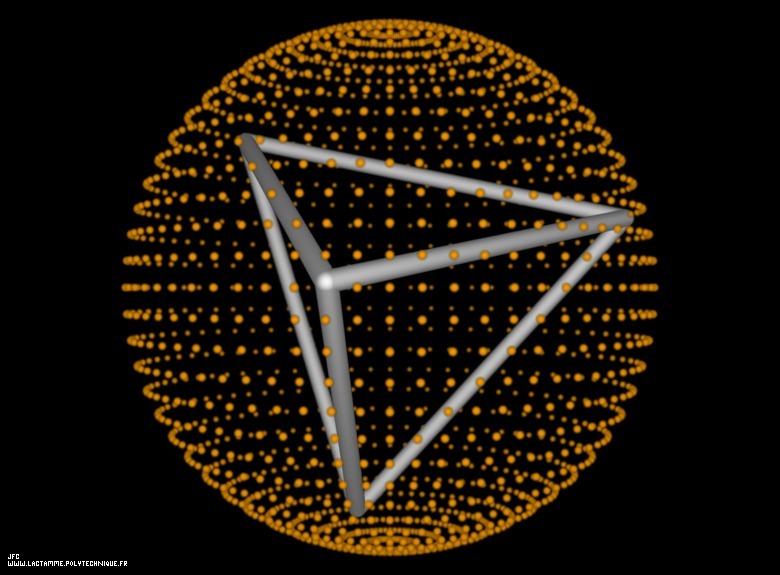 4 evenly distributed points on a sphere -a Tetrahedron- by means of simulated annealing [4 points répartis équitablement sur une sphère -un Tétraèdre- par recuit simulé]. See the dynamics of this phenomenon starting from the surface of the sphere. See the dynamics of this phenomenon starting from the center of the sphere.